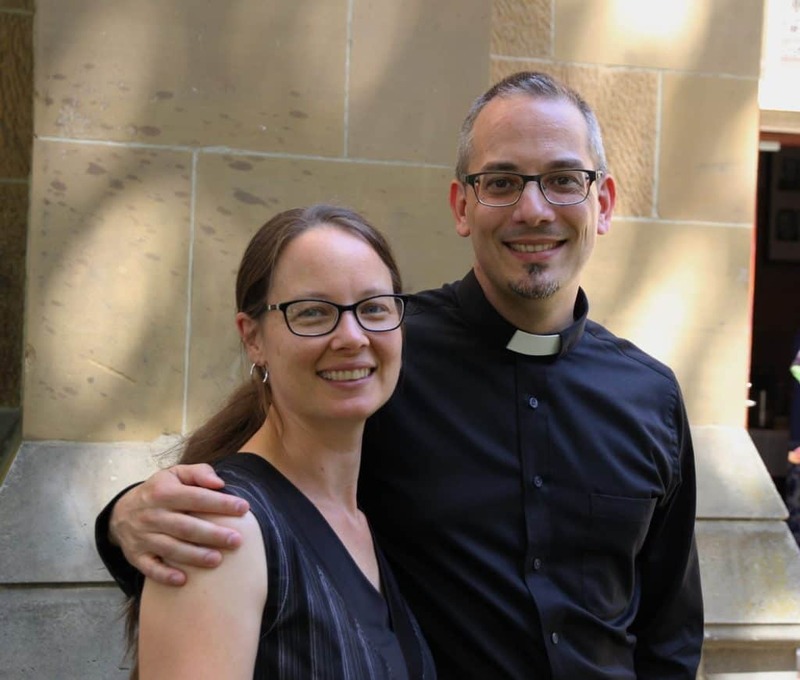 It has been a few weeks since the Diocesan Celebration and Ordination service (2 March), where I was “deacon-ed,” but ever so often I still get asked why I went for it. In fact, the discernment phase of ordination is a fairly lengthy and rigorous process (and that is good). So, why did we do it — and I say “we” because my wife Staci and I very much are in this together. The simple answer is because we felt moved to be more involved in church. Some months before the ordination, Staci and I were invited to a series of discernment interviews with Bishop Richard and some of the other church leaders to discuss if and why that might be a good idea for us, and to be honest, we had a great time (never thought I would say that about long meetings). We actually realised that we are both very excited about what is going on in church — at Barneys, but also beyond — and we really want to be part of this going forward in the future. In fact, I think the Anglican Church in Tassie is on the brink of something. I was impressed when Bishop Richard went on his tour of the state to confess and lament all the messes and sins of the past, and I believe that something shifted. He was taking spiritual ownership, and I remember when he came to Barneys, that I was thinking to myself, “here is something to get behind.” At the last Bishop’s Training Event this impression was reinforced. Bishop Richard was speaking on Luke 10, pointing out that first we are to earnestly pray to see the harvest brought in, in other words, once again he showed spiritual leadership in a situation where it would have been understandable to go straight to programs and action plans. And I believe this spiritual leadership is bearing spiritual fruit (I perhaps should add that nobody instructed me to write any of this). These days I am often humming an old 90s worship song to myself. It’s called “Father of Creation.” It asks God to “let Your glory fall in this room, let it go forth from here to the nations… The world has yet to see, the full release of Your promise: the church in victory.” I for my part am ready to see the church in victory, for His glory to come down hard and go forth and touch every part of this island. I think we can be audacious and “call in” some very specific promises; for example in Psalm 22:27, which Jesus Himself prayed on the cross, we hear that “all the ends of the earth shall remember and turn to the LORD, and all the families of the nations shall worship before Him.” I won’t be content until I see more of what these songs talk about during my lifetime here in Tassie. So, I am moved and stoked about what the future holds: a church for Tasmania, making disciples of Jesus.